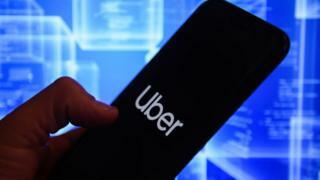 An Uber driver has been convicted over the death of an English passenger in Sydney, Australia. The passenger, 30-year-old Samuel Thomas, died when he fell from the Uber and was hit by a bus in June last year. Mr Thomas, from Hertfordshire, had been getting out of the car when driver Nazrul Islam accelerated. Islam, 32, pleaded not guilty to negligent driving causing death, but a magistrate ruled that he had not kept “a proper lookout” as Mr Thomas exited. “Mr Islam did not exercise the reasonable care that a driver must exercise,” Magistrate Mary Ryan told a Sydney court on Monday. Islam had argued that he did not notice his passenger’s attempts to exit. The court heard that Mr Thomas and two friends were intoxicated as they travelled home in the Uber from a house party. They were about five minutes from their destination when Mr Thomas, who was in the back seat, opened a rear door and began to get out. Security footage showed the car’s internal light was illuminated for six seconds before Islam began to accelerate, causing Mr Thomas to fall. Magistrate Ryan noted that Mr Thomas had opened the door “without a word of warning”, but said: “Six seconds of light within the car is a significant warning. After the verdict Mr Thomas’s sister, Hannah, said it had been her brother’s dream to live in Australia. “We love him and miss him and we just hope that today is some closure for us and for him,” she said. Islam will be sentenced in January.